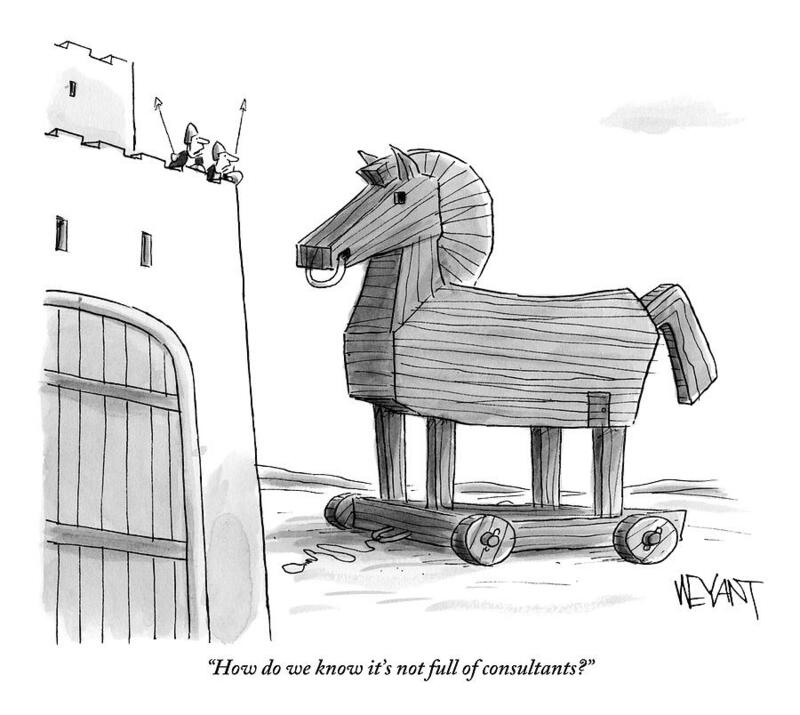 Caption: "How do we know it's not full of consultants?" 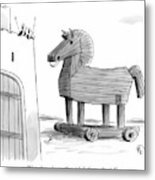 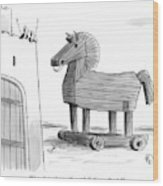 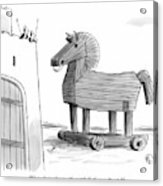 Description: A large wooden horse, reminiscent of the Trojan Horse, approaches the gateway of a fortress. 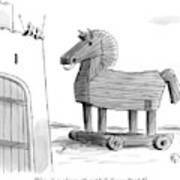 The two watchmen comment on the horse.